Need a holiday gift for the gourmet on your list? Hammar Stahl cookware is a wonderful option. 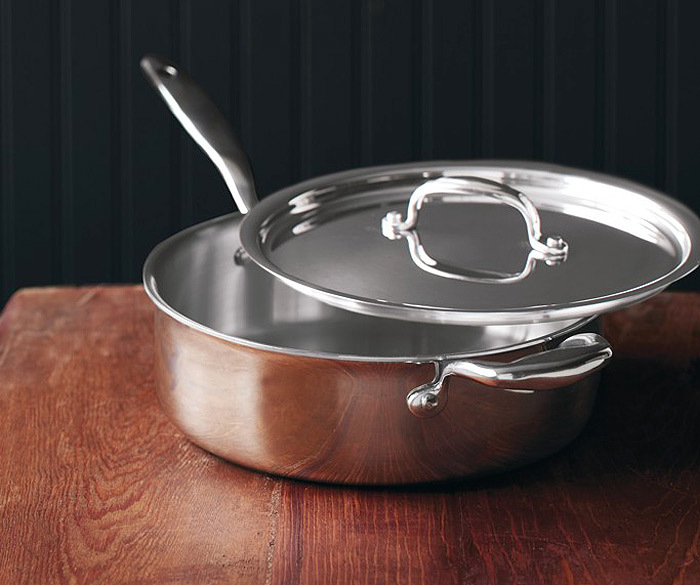 Manufactured in the US the 7- ply cookware is made with surgical stainless steel and titanium to distribute heat quickly and more evenly. This cooking system helps retain more vitamins and minerals in every recipe by cooking the food in its own juices. The cookware is available in a variety of sizes of fry pans, sauce pans, and roasters all with heavy gauge lids. I recently had a chance to work with the new 4 quart deep saute pan and can honestly say I love it!! The pan heats quickly and evenly which allows you to cook food with little to no added oil; a positive from a health standpoint. It was nice to have this high quality and durable pan on hand while cooking my Thanksgiving feast. This exceptional quality pot has quickly become my go-to for just about everything. Regularly priced at $229 it is being offered to Food Hunter's Guide readers at a special price of $99 until 12/31/2015 visit http://www.hammerstahl.com/316Ti for details. As I mentioned above this pot would be ideal under your favorite culinarian's tree. I have been compensated and/or received the product for free but all opinions are my own. I've never heard of Hammar Stahl but I'm intrigued, I'll have to check it out! I have heard good things about this pan. Really pretty and sounds fantastic! Also I'm totally impressed that you managed to photograph it so well. That glare kills me every time! I've never heard of this brand before. I love my stainless pans so much that I'm slowly converting to using solely stainless for all my cooking. This pan looks very sturdy! This pan is a total dreamy (and perfect!) gift for someone who likes to cook.